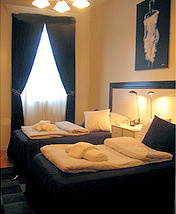 BB Lodges, Manhattan, New York - Offers 12 plus modern, clean studios and suites at our townhouse. All of our units have their own private kitchens and baths. Located 8 minutes (approx.) by subway from Midtown Manattan & 20-25 Minutes walking distance we are very accessiable.